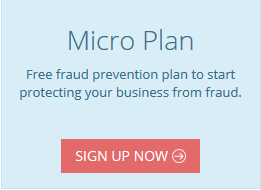 FraudLabs Pro allows you to whitelist a client by using their email addresses. If a client was whitelisted, FraudLabs Pro will automatically approve the order transaction. In other words, the whitelisted client take the highest priority in the rules validation check process. However, please take note that the system will still perform the fraud validation for all the passed in parameters, and a fraud score pertaining to the order will still be produced and returned. Only the subsequent validation rules checking for action triggering will be skipped. Login to the merchant area. 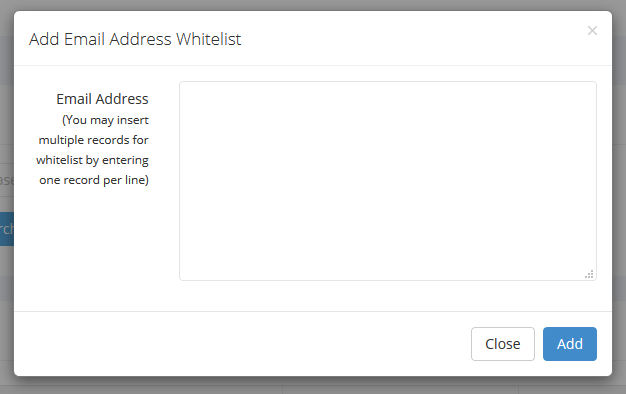 Click on the Add Whitelist button to add the emails to be whitelisted. A window will be appear for adding the email addresses, as shown in the below screenshot. You may enter multiple email addresses to be whiltelisted. Click on the Add button. The email address will be whitelisted in our system. You should see the below status on your transaction details page if an order was whitelisted by your entered email addresses. You can also manage your whitelist records, such as search, edit or delete, on this page.